Have you made some goals to learn some new techniques in 2017? Whether its new or not, the spotlight stamping technique is a fun one! Pull up a chair and get some creative ideas for spotlight stamping. Watch the video below or click here (December 2016 Release Class - Spotlight Stamping) to watch it on YouTube. Don't forget to subscribe to our YouTube channel so that you don't miss a single tutorial! Let's take a look at more examples of spotlight stamping using products from My Favorite Things! Floral stamps are always a fun way to incorporate the spotlight technique. 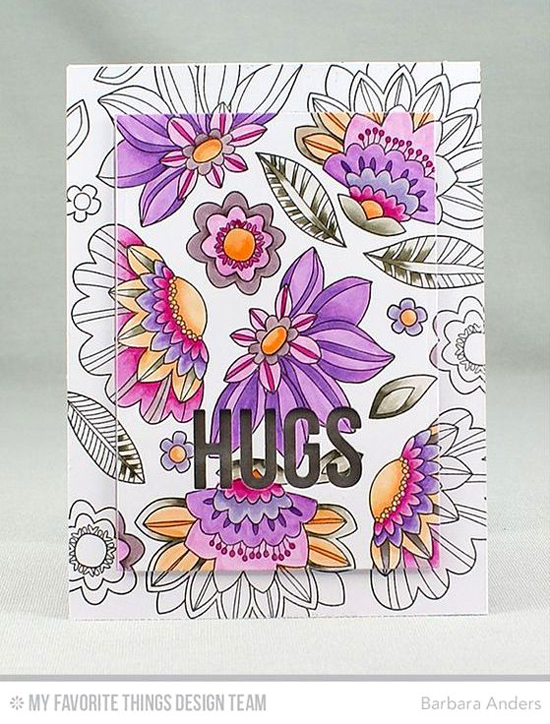 For this design, Barbara stamped flowers and leaves from the Fancy Flowers Card Kit on her card base and on stamped the pattern again on a card stock panel. By coloring the flowers only on the panel, she has spotlighted them. Fun, huh? 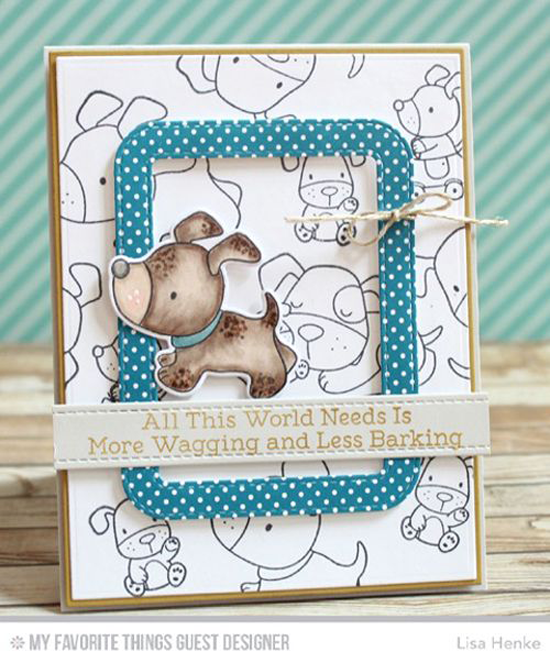 Similarly, Guest Designer Lisa Henke stamps cute doggies from the Playful Pups stamp set on a white card stock panel, and then stamps, colors, and die cuts one of the images and pops it up on a frame giving him the spotlight. Many of our intricate background stamps are perfect for the spotlight technique. Stephanie stamped the Bundles of Blossoms Background stamp in black on white card stock and stamped it again in the shape of a rectangle. She simply colored that one section and then popped it up for a breathtaking effect. 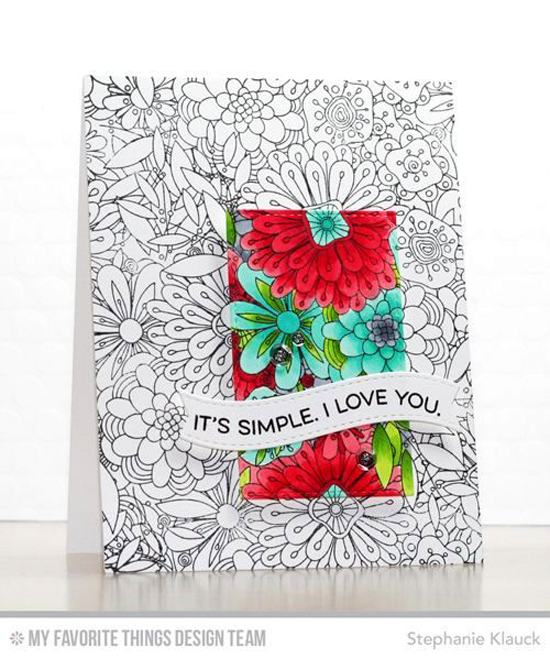 You will LOVE using the spotlight stamping technique! Be sure to tag #mftstamps when you post your projects online. We can't wait to see what you've made! I am making a card using this technique at this very minute - with MFT's Chill Wishes set - love it!